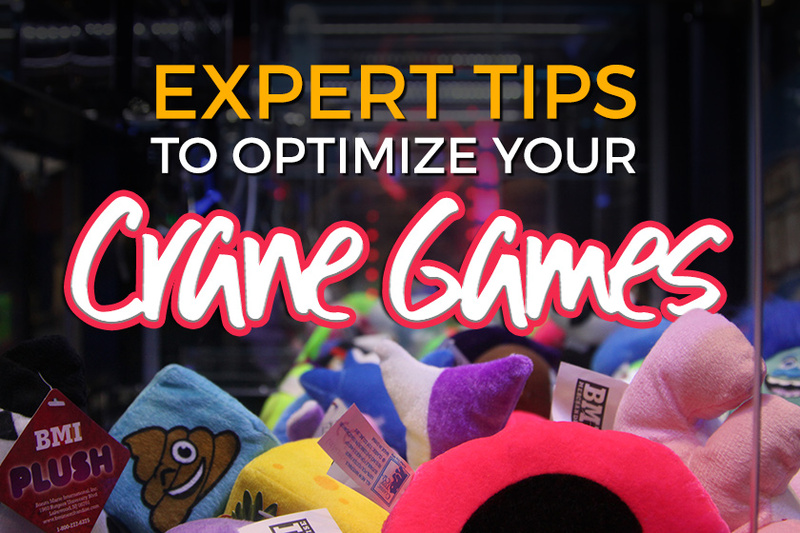 The Crane Game, sometimes known as a claw machine, is one of the most lucrative games you can have in your venue. The bright, shiny new prizes sitting there for the taking make them irresistible attractions for your guests. But how do you make sure you’re maximizing the potential earnings from your crane game? We asked A&A Global’s Crane Division Manager, Kara Kokoruda, how to get the most out of this popular game category. One of the best ways to keep people interested in playing cranes is to use licensed merchandise that is on-trend. You don’t need to look any further than popular TV series and movie releases to get some great ideas. Some of the hottest movie licenses right now are DC and Marvel superheroes, Jurassic Park, Star Wars and The Incredibles. For the younger set, look to Disney or Nickelodeon for ideas, and popular toys such as Shopkins. Licensed items are always in high demand and will keep your guests coming back to play. Increase the impulse factor by rotating your products frequently with hot, fresh items. We suggest changing out your merchandise every 4-6 weeks in locations with mostly local, repeat customers to keep things interesting. Those in tourist locations can utilize the same merchandise longer due to the transient nature of their guests. Are your guests mostly families with school-age children, or does your location attract mostly teens and adults? Knowing your audience is important in selecting merchandise for your cranes. Some fun ideas for the more mature set are Starbucks gift cards, items branded for local sports teams and electronics. Your guests need space to move around the game to pick their prize and get the claw in the absolute best position. Players tend to go for machines that allow them to look at the prize from all angles before dropping the claw. Make sure to provide enough space so they can move around the sides, feeling comfortable and confident when playing. Prize Box is a compact and attractive crane game that makes players feel they have an advantage with a top down view. Prize Box fits perfectly in those hard to define places that exist in every venue. With a small footprint and a low profile, they don’t get in the way, so they’re great entryway pieces and looks great in multiples! Winning creates more players! Keep the excitement level up in your venue by awarding a fair number of prizes so that guests win and see others winning on a regular basis. The appearance of a machine is more important than you think. Things as simple as making sure all the lights work or the glass is clean help make your product more eye-catching. It doesn’t matter how fantastic the merchandise is if prospective players can’t see through the windows! Many merchandise companies offer pre-made kits with a mix of merchandise created by their staff of experts. These kits are designed to encourage play based on different guest demographics. Some companies offer kits for specific games as well, taking the guesswork out of merchandising. #08 – Order ahead of time! The most popular merchandise can sell out quickly, so start planning a few months in advance to make sure you have what your guests want. Thinking about special prizes for a certain holiday? Check with your merchandise vendor about when those items will be in stock. Some companies also offer programs to help you manage your inventory. 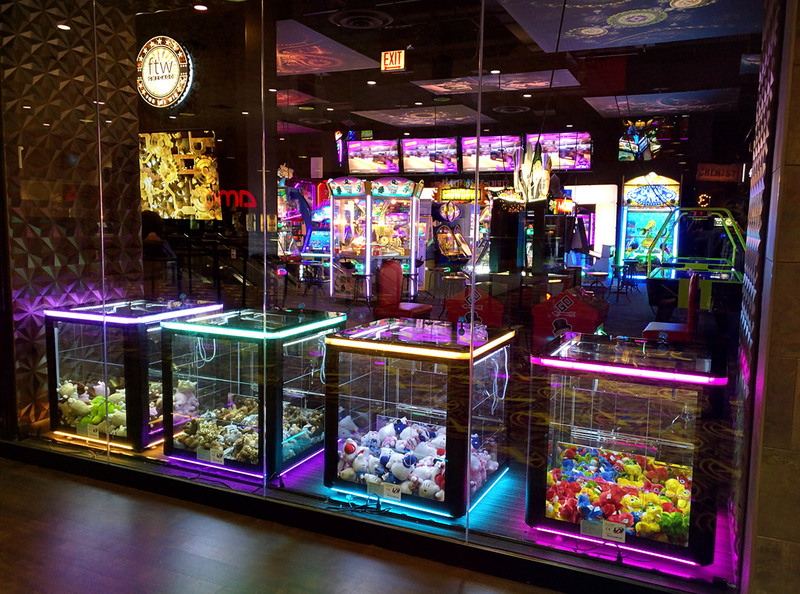 Many thanks to Kara Kokoruda, Crane Division Manager at A&A Global, for contributing to this article and sharing her expert advice on how to make the most out of your crane games. A&A Global is a leading manufacturer and distributor of toys, novelties, candy, plush and amusement balls for the bulk vending, amusement and FEC industry. Established in 1938, A&A continues its commitment to the industry through new innovative products that are being developed on an ongoing basis.